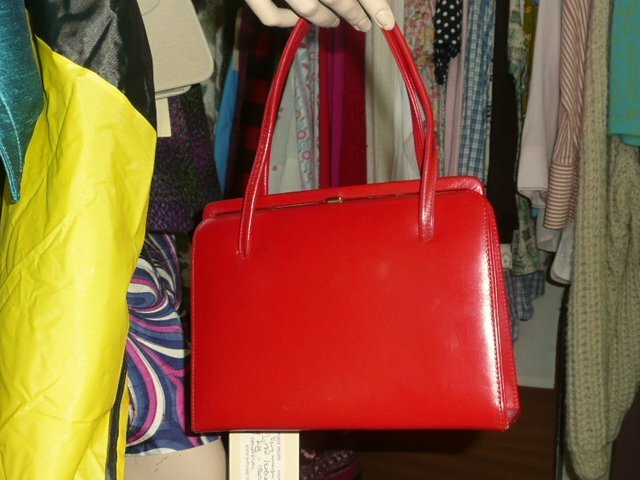 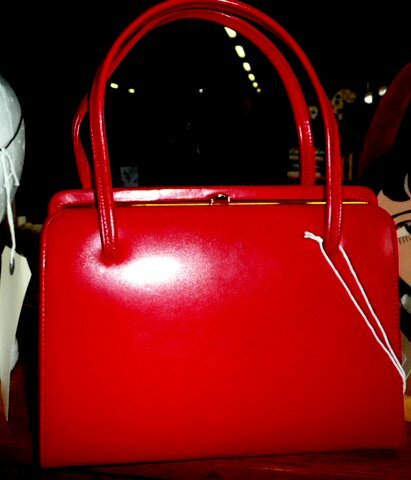 Perfect vintage 60s lipstick-red kelly bag. 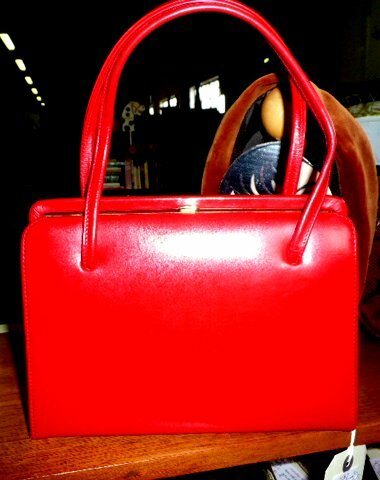 A kelly bag is a standard handbag; slightly wider than it is high, designed to be worn over the arm or carried in the hand, versatile, smart and nondescript...except this one, which is anything but nondescript! 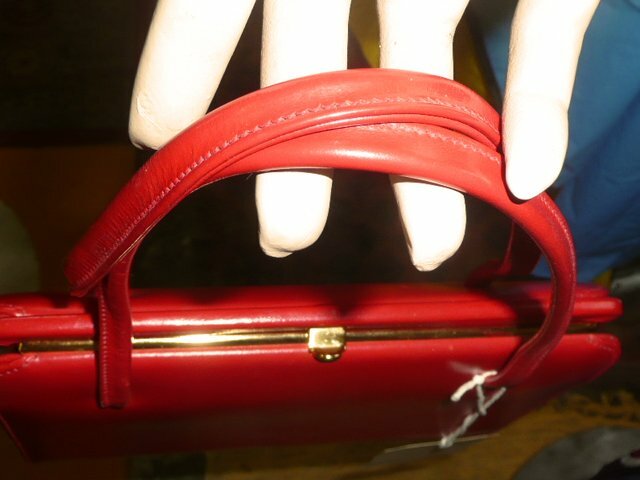 Front and back equally perfect, with only the tiniest fault (as far as I can see, anyway): a very small patch where the colour has not gone, at the top rim at the back of the bag (very possibly a fault in manufacture). 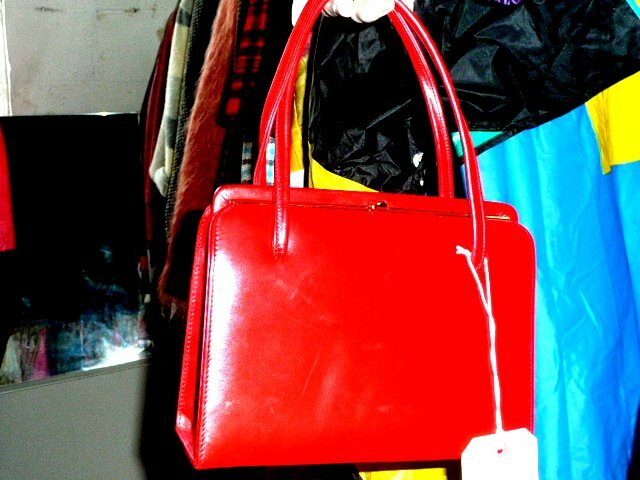 The bag was perhaps used once, and then put away...which is a shame, because it would go beautifully with just about everything, from a formal black suit to jeans and a tee-shirt! 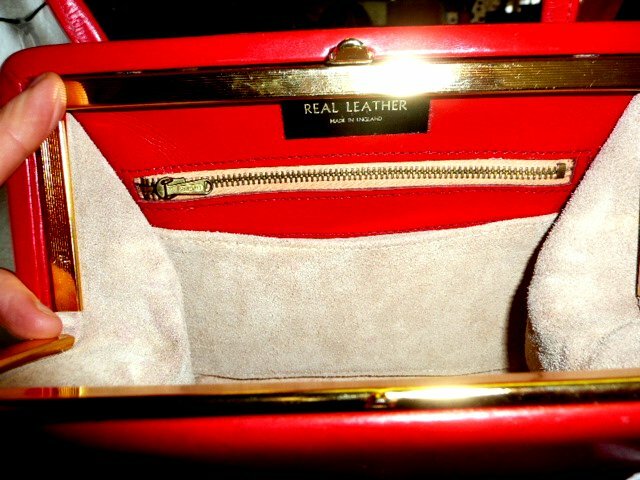 Inside, there is the expected zip pocket, and the interior is as clean and unused-looking as the out, but the colour's the thing.....a vibrant, look-at-me red that the photographs very nearly do justice to!